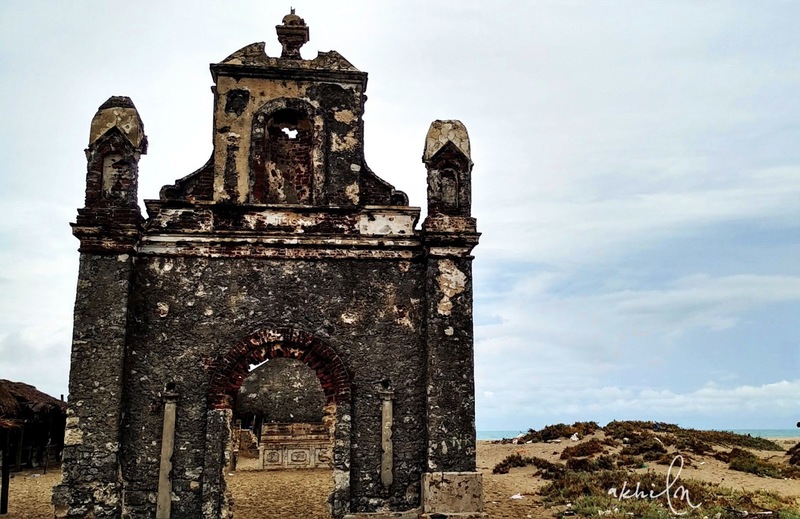 Dhanushkodi- Exploring the tail of India! Interested in experiencing a different culture? some rare beaches? or exploring an amazing piece of history? 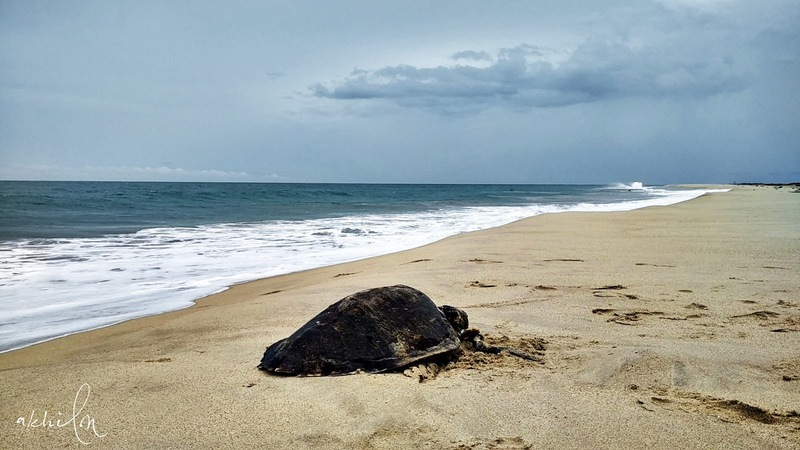 Dhanushkodi is the best choice for you where you can experience all of these. 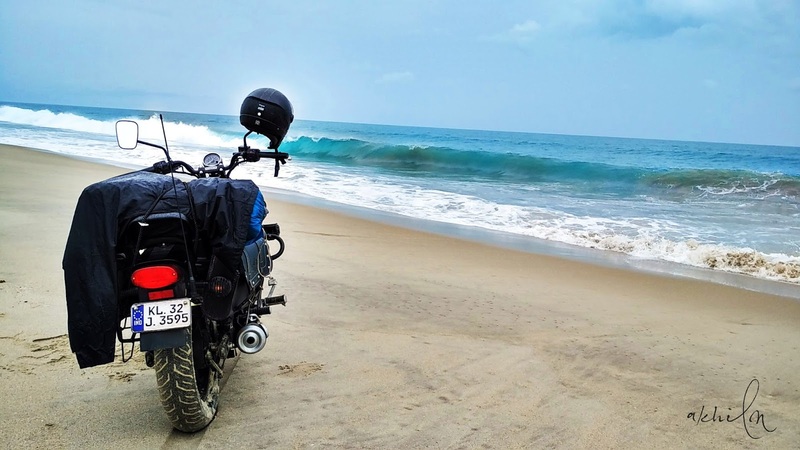 Ride to Dhanushkodi was a completely worthy experience. It has always been one of my dream destinations which I never thought I could ride down this soon. Big thanks to Aarjith and Baliga, my mates. Till then it was also my longest stretch in the bike, around 1000Kms to and fro. 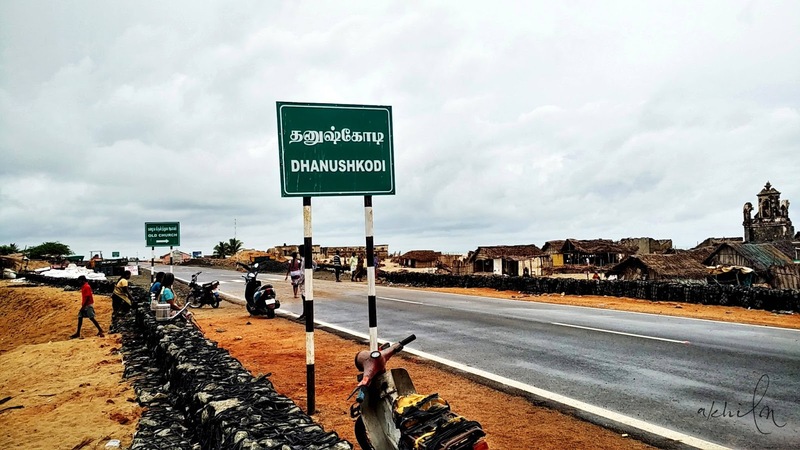 Danushkodi is known as the DEAD END of INDIA. The land ends here, only blue ocean what is beyond. Srilanka is just 30kms east from here. 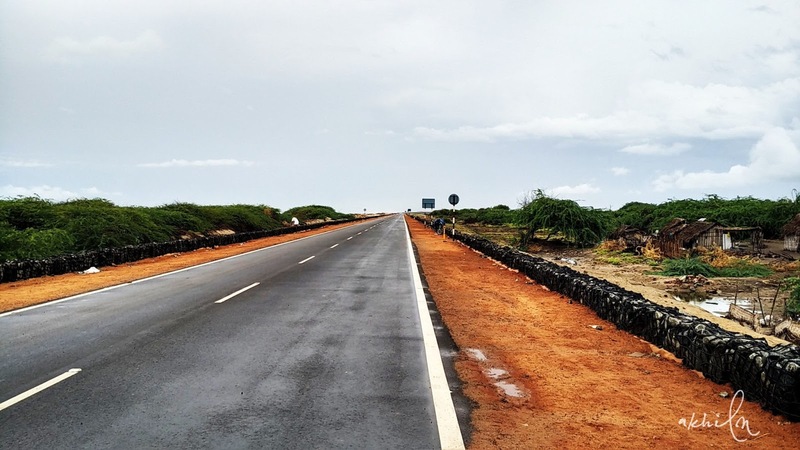 Rameswaram to Dhanushkodi is just a half an hour ride, less than 20kms. The roads are pretty wide and empty, also framed with beautiful backgrounds. One of the best roads I've ever taken. 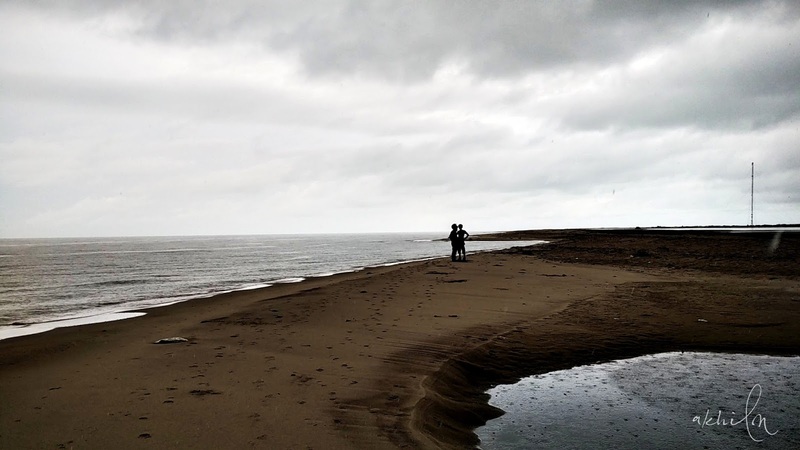 Unlike other popular beaches, Danushkodi doesn't own many footprints. Here you can't see a grand crowd or any luxury facilities, just a simple piece of our beautiful planet. Our bikes became very slow and took often breaks in the route. 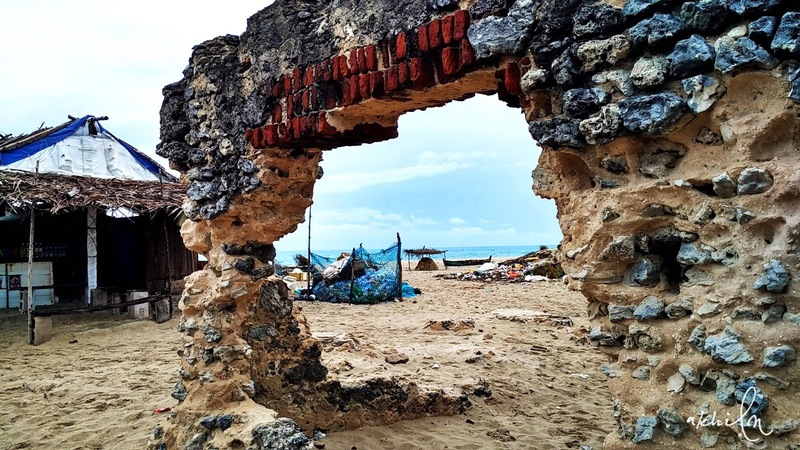 The place is that good and since we were from western coastlines, Dhanushkodi became a completely new experience for us. 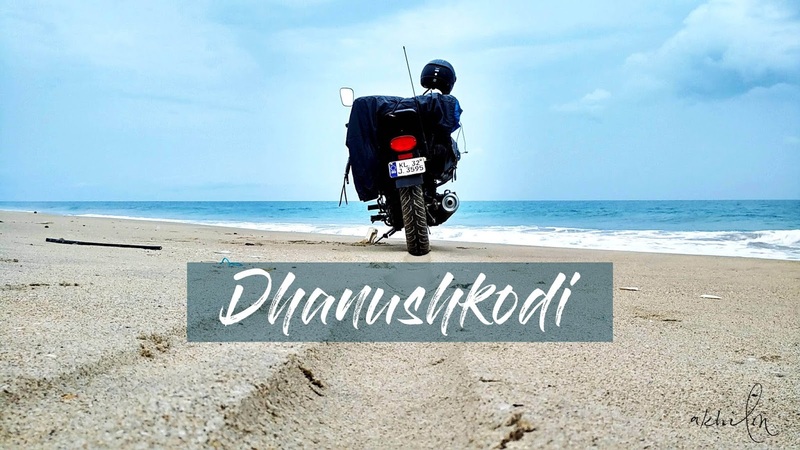 Dhanshkodi is a small coastal village located at the tip of Pamban island with not more than a few fisherfolks and a population less than 500. The living conditions are worse, they don't even have the basic facilities. People are very happy and united, such a calm and peaceful place. Ghost Town is another reference to Danushkodi, given by 1964 cyclone that destroyed old Danushkodi. What remains here is some broken old structures which always gives a scary look at visitors. 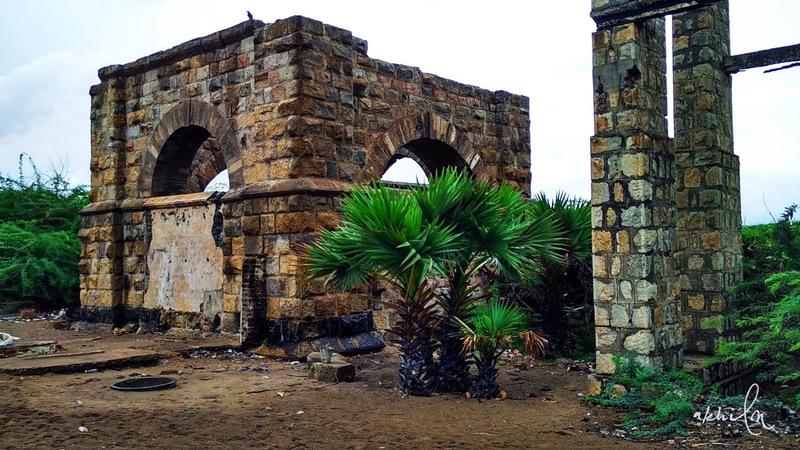 Some pieces of the old railway station at Dhanushkodi. Fishing is the only source of income of the natives. We can see a number of fishing boats always roaming in the sea. 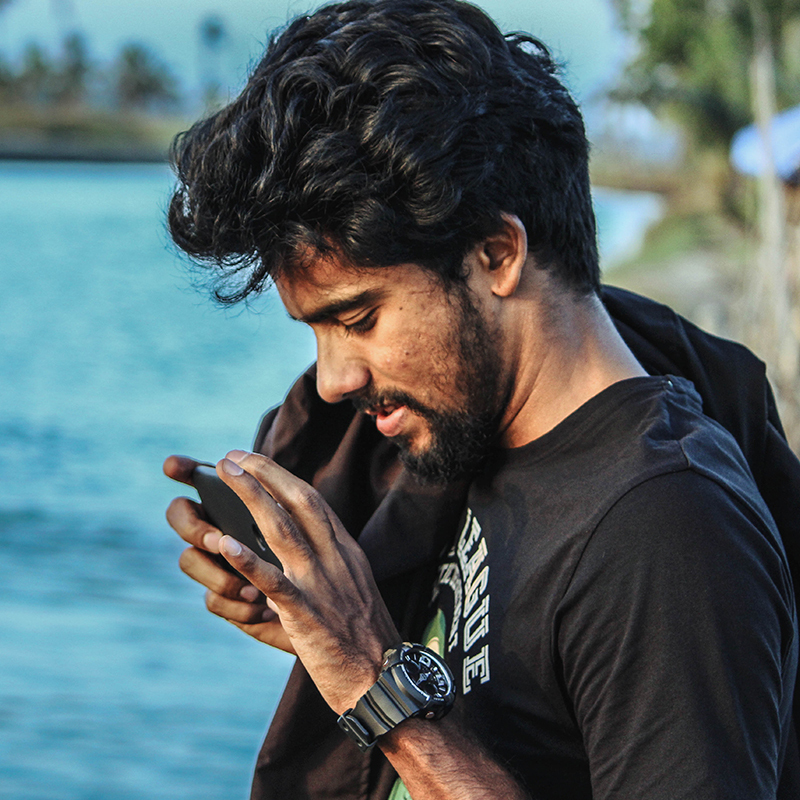 Indian ocean looks amazing from here, you can't leave without a bunch of clicks. Beach was almost empty then, other than few local boys who were busy with flying kites. Beyond a point, there was no road then. So the only solution was to ride through the beach or else to catch a 4x4 van to reach the endpoint, which only costs around 100 rupees per person. We were planning to ride through the beach. But due to the bad weather conditions, the guards didn't allow us to do so. Hence we chose the option of using a van service. The van journey through the beach is an adventurous one that you can't miss out there. Since now there is a road up to the endpoint so you can reach there without any difficulty. 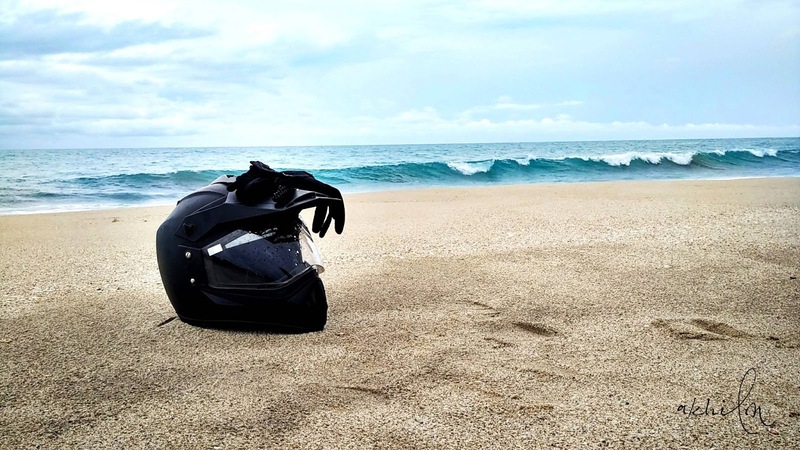 Still, the beach ride remains the best experience. It was drizzling throughout our journey which was a different experience even if we were little comfortable with that. The sky was fully cloudy, sometimes looked horrible. Ghost looks even scarier in the cloudy backgrounds. 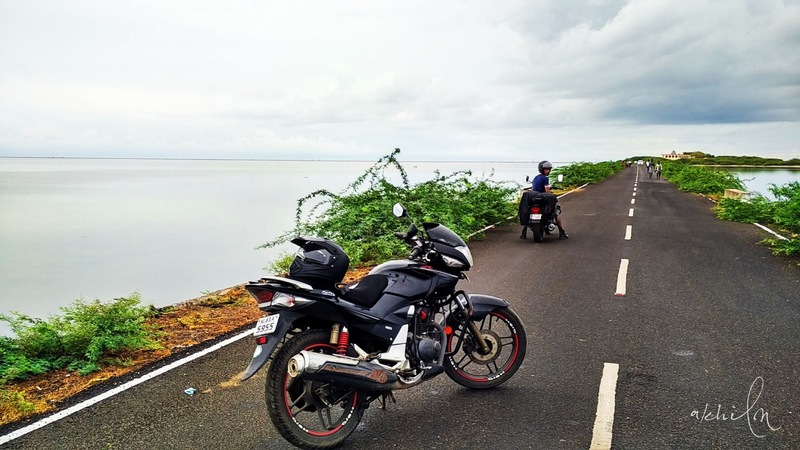 The long road which leads to the end point of Dhanushkodi will always tempt a rider. The works were in progress and not opened for transportation then. It looked like an endless straight road which leads to a beautiful horizon. Some random pics at Danushkodi beach. Dhanushodi may not be fit for all travelers but for those who love to explore, it is one of the best choices. 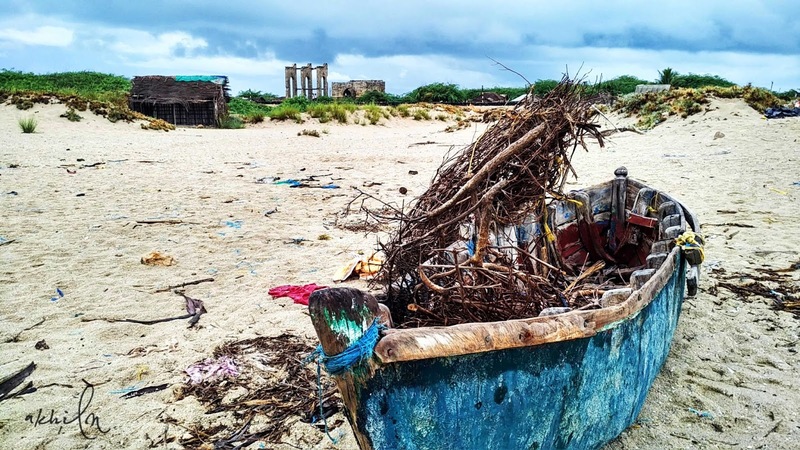 I'm sure you will return from Dhanushkodi with a bundle of experiences for a lifetime. Rameswaram is the nearest Railway station and town.If you plan to stay, you can easily find a hotel here. Rameswaram temple is also a tourist attraction. You need to catch a private vehicle to reach Danushkodi. We started from Kochi, covered up to Madurai on day1. 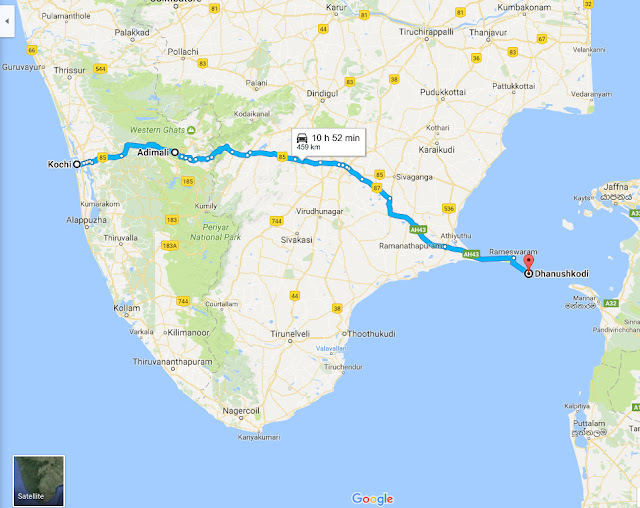 Madurai to Rameswaram on day2, and just Rameswaram to Dhanushkodi on day3. 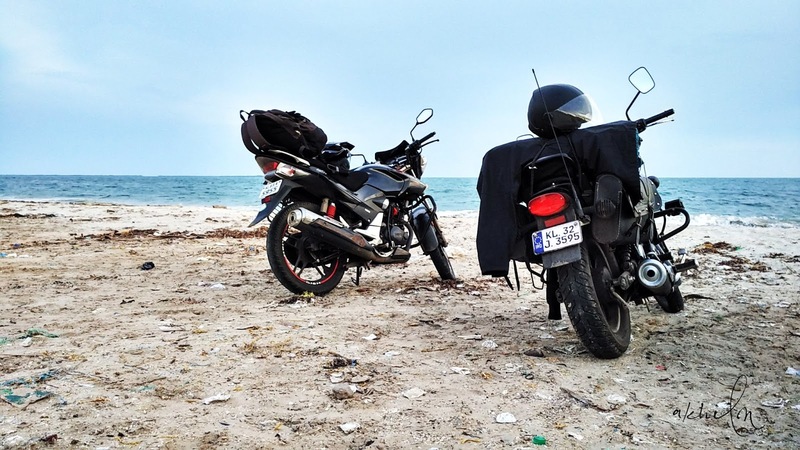 After spending one fabulous day at Dhanushkodi we rode back. thanks for your words Ankur ;), You said it right. A travel and photography enthusiast. This is a small space where I'm sharing my travel stories. Welcome for all who love to travel and explore. 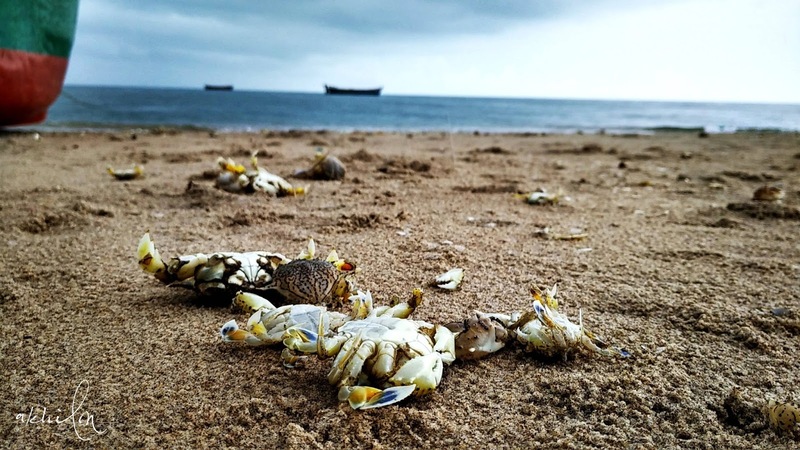 Gokarna - Exploring the offbeat beaches! 5 reasons why 'A Road Trip to Goa' is a must!